Trumpet students and faculty had the opportunity to meet and interact with trumpet great Craig Morris as he performed recently as a guest artist in the Performing Arts Center. This entry was posted in alumni students faculty NEWS on February 27, 2018 by Thomas S. Clark. VocaLibre, directed by Craig Aamot, sang for about 700 people at the annual Episcopal Diocese of West Texas conference, held in the Embassy Suites Convention Center in San Marcos. They also had a great turnout for the Friends of Fine Arts fundraiser at AquaBrew. This entry was posted in alumni students faculty NEWS on February 26, 2018 by Thomas S. Clark. Seven theorists from Texas State participated in the annual meeting of the Texas Society of Music Theory February 23-24 in Dallas. 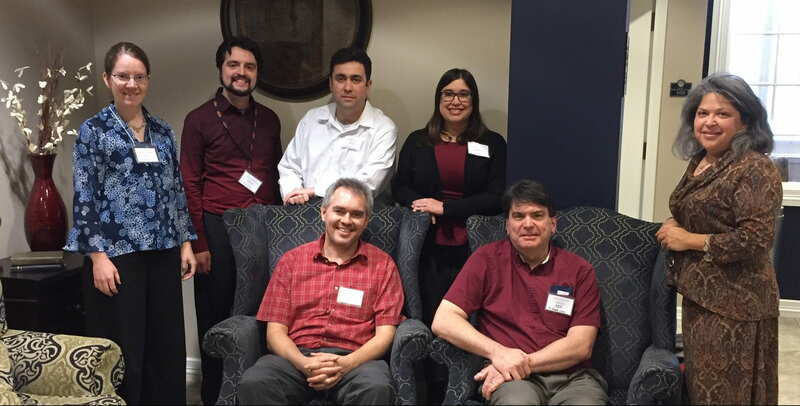 Alumnus Dr. Jose Garza presented an excellent paper “What Dwells Beneath the Surface: Rhythm, Meter, Culture, and Meaning in Contemporary Metal Music” that featured his dissertation research. He earned his Ph.D. In Music Theory from Florida State University in December 2017. Dr. Nico Schüler presented a paper that evaluated current software for automatic and semi-automatic onset detection in recorded music performances and discussed expressive timing in several performances of the beginning of Beethoven’s piano sonata op. 2 no 1. At this meeting, Dr. Cynthia Gonzales began her three-year term as President of the Texas Society for Music Theory. This entry was posted in alumni students faculty NEWS and tagged Texas Society for Music Theory on February 23, 2018 by Thomas S. Clark. TXST students participated in the Clarinet Fiesta CD Recording Project, performing and recording two world-premiere arrangements: Mozart – Sinfonia Concertante K. 297b and Schumann – Concert Piece for Four Horns arranged for four clarinets (Eb, Bb, Basset Horn and Bass Clarinet). Our Texas State students shared the stage with some of the top clarinetists from around the world: Philippe Cuper, Principal Clarinet of the Paris Opera and Professor of Clarinet at the National Conservatory of Versailles; Andre Moisan, Bass Clarinet & Saxophones of the Montreal Symphony Orchestra, Professor of Clarinet at the Montreal University, Canada; David Gould, Bass Clarinet & Clarinet of the American Ballet Orchestra, New York, NY, and Mitchell Estrin, Clarinet Professor of the University of Florida in Gainesville, FL, current president elect of the International Clarinet Association. The CD will be produced by Mark Custom Recordings, Inc.
Student performers included Amy Gravel, Austin Vogelman, Brittany Hernandez, Noah Ornelas, Shane Lemanski, Robert Malave, Vikas Chopra, Jackelyn Pecero, Nathan Snyder, Rebecca Martinez, Eryn O’Sullivan, Allyn Hartman, Kristen Hutchins, Steven Gres, Emely Chacon, Joseph Trevino, and Kevin Rodriguez. The Texas Music Educators Association 2018 Clinic/Convention in San Antonio featured a strong presence by the School of Music. Ames Asbell, Caroline Steiger, John Lopez, Mary Ellen Cavitt, and Kyle Glaser gave well-attended, Impressive expert clinics. Amanda Soto, John Denis, and students of Rebecca Tast presented intriguing research posters. TXST’s very popular college exhibit booth and fabulous Alumni Reunion were coordinated by Krystyn Jensen. 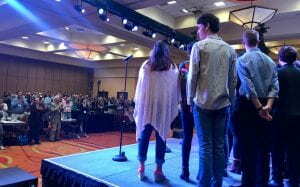 Adah Jones, Caroline Steiger, Charles Hurt, Lynn Ledbetter, Keith Winking, Jordan Stern, and Ian Davidson provided expert judging or coaching of All-State sections. This entry was posted in alumni students faculty NEWS and tagged TMEA on February 20, 2018 by Thomas S. Clark. The Stars At Night Faculty Showcase on February 6 in the TXST Performing Arts Center featured premieres of six new compositions by Thomas S. Clark. Performers included Ames Asbell, viola, Ian Davidson, oboe, Richard Hall, electronics, Karla Hamelin, cello, Youna Hartgraves, voice, Kari Klier, marimba, Joey Martin, piano, and Vanguel Tangarov, clarinet. Cello students Boris Chalakov, Joshua Adams, Terri Boutte, Simon Reid, Anna Trevino, and Gabriel Vazquez also performed. Since 2008, Clark has led the School of Music at Texas State University as Director and Professor of Composition. The years 2016 and 2017 have been unusually productive for him as a composer, completing 11 new pieces. His compositions have been performed at festivals throughout the U.S.A., in Canada, Japan, New Zealand, Australia, three times at “Moravian Autumn” Brno International Music Festival in the Czech Republic, and at the Festival Internacional Alfonso Reyes in Monterrey, Mexico. 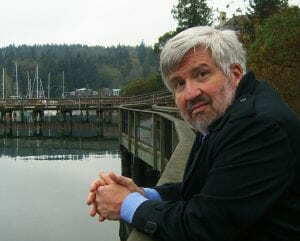 Several of his works, affiliated with BMI, are published by Borik Press and recorded on Centaur Records. This entry was posted in alumni students faculty NEWS on February 12, 2018 by Thomas S. Clark. 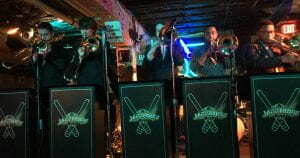 The Hill Country Jazz Bones, led by Dr. Martin McCain performed in downtown Austin on January 31st at the Elephant Room. 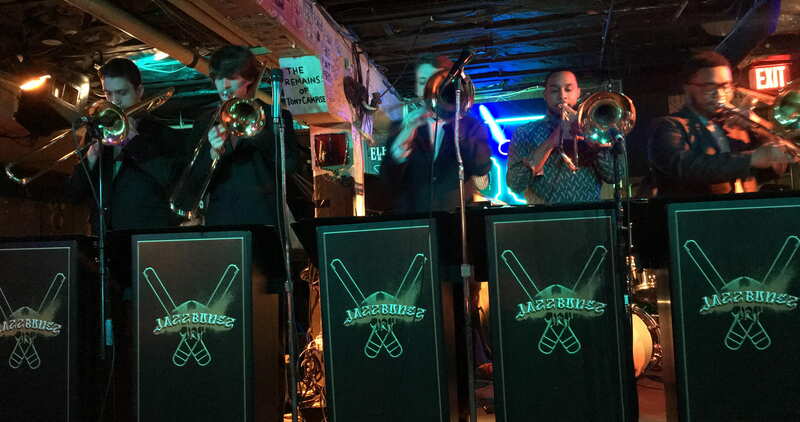 The ensemble traded sets with JazzBonez whose members include TXST faculty Utah Hamrick, Paul Deemer and McCain. This entry was posted in alumni students faculty NEWS on February 8, 2018 by Thomas S. Clark. On January 22, Dr. Martin McCain was a guest artist at the University of Central Florida where he presented a masterclass and taught lessons. He also presented lectures on auditioning and gave a jazz ensemble clinic at Dr. Phillips High School in Orlando. McCain also lead a masterclass at the University of Florida on January 23rd. He served as the jazz clinician for the Gulf Coast Band Directors Association in Gulfport, Mississippi January 25-26. McCain also co-presented a clinic with the Memphis Symphony Low Brass section at the University of Memphis Trombone Workshop where he discussed the contrabass trombone’s role in the orchestra. Additionally, McCain was a guest artist at Tennessee Tech University on January 30 where he presented a recital, lead a masterclass and taught lessons. He also hosted University of North Texas trombone professor, Steven Menard on January 17-18 and Principal Trombone of the San Antonio Symphony, Steve Peterson on February 5.